We also provide Home Inspections In Oregon City, Clackamas home inspections, Beaverton home inspections, Happy Valley home inspections, and inspections in the entire Portland Oregon Metro area. If you are looking for a Portland, Oregon home inspector specializing in Portland, Oregon home inspections providing years of knowledge and expertise you have come to the right place. Houses are complex structures consisting of numerous systems and thousands of components. Upon inspection of your home you will see why Top Notch's home inspectors complete more than 100 hours of continuing education per year and teach courses to other Portland, Oregon home inspectors and real estate agents alike. When you hire a home inspector in Portland, Oregon make sure the person doing the work is a qualified professional. If you are going to hire someone for a Portland, Oregon home inspection or a Clackamas, Oregon home inspection look no farther than Top Notch Home Inspection for your Portland, Oregon home inspection needs. or email us at jeff@tnhinspection.com. We look forward to serving your Portland home inspection and testing needs. *We Guarantee 24 Hour Reports Returned. Jeff and our inspector, Kevin, were extremely knowledgeable, prompt, and helpful. We've actually used Top Notch twice over the past few years, and have been very pleased by the service we received! We highly recommend them! We had Tim and his team come out and do an inspection on a home we are purchasing. He was great, very detailed and thorough. He was very professional and answered all our questions in detail. He went over the report with us and gave us recommendations. Tim and the team really are Top Notch!!!! I just bought my first home and had Top Notch perform a general inspection to ensure nothing was amiss. Kevin did a great job walking me through the process, providing tips on what to look out or, and the inspection report is very easy to follow/understand. Tim did an excellent job! He was already at the property when I arrived. Very prompt, personable, thorough with the inspection, very knowledgeable (didn't mind all the questions we had) and we had an excellent experience overall. Highly recommended! My husband and I are new to the area and got a list of inspection companies from our realtor. I selected Top Notch because of their reviews and the look of their website and was very pleased with the experience. Kevin Halligan did our home inspection this month and he was great! He's professional, efficient, and very personable. I can tell he enjoys what he does by our interaction and the level of detail in his report. I highly recommend Top Notch Home Inspection. My husband went to the inspection with our real estate agent & was very impressed with the thoroughness & professionalism Tim showed throughout the whole process. He was extremely knowledgeable & took the time to explain important issues so that we would have a better handle on how these items could affect our home in the future if not attended to. Many were safety issues which, of course, were first & foremost. When the report came in which was that very day, everything was easy to read & he gave thorough explanations on every item he found. Furthermore, we had the sewer inspection & radon monitoring done by Michael Holsapple. His report came back with a passing grade & the video he included really helped us to understand what they were doing from beginning to end. Overall, we are very pleased with the jobs both Tim & Michael did & would recommend them to anyone needing a home inspection. We had a fantastic experience. Jeff is extremely knowledgeable and answered every question we had. This was a new & scary process for us and we immediately knew we were in good hands. It was a thorough inspection from honest and wonderful people. We had a great experience with Top Notch. They were polite, friendly, thorough, and fast to respond. They always had an informed answer to any question we had and they were a pleasure to work with. I would recommend them to anyone. We recently utilized Top Notch Home Inspection services...Tim Jones and Michael Holsapple were wonderful to work with! Very impressed with the professional and thorough approach that both of them offered. They explained aspects of the process to us, especially since it is our first experience buying a house, and sent reports the same day. I so appreciate their extra efforts and assistance! Moving quickly to buy a property, I was impressed with Topnotch Inspection's fast response. Jeff was immediately reachable by phone and scheduled my Inspection with Kevin within 2 days. Kevin was pleasant and knowledgeable to work with. I recommend Topnotch. They live up to their name! Hands down the best inspector I have ever dealt with. I work in construction and we always see and heard those stories about “bad inspectors”, and to be honest I was a bit indecisive in hiring one just because I didn’t want to spend money and don’t get my house completely checked. Jay was the best! He actually checked everything he could get his hands on! He climbed the roof, he went in the attic, he checked water pressure, he checked for hot spots, moist spots, sewer, electrical..... I can keep going but he truly went above and beyond! He was nice enough to walked me through everything and even stayed a little later just so I can be there to see all he had found. He was nice and knowledgeable. I would hired them again in a heart beat. Thank you so much for your excellent work! Jeff, Jay and Michael have been a pleasure to work with. The team's expertise has not only saved us thousands of dollars but lessened some anxiety on buying an older home. Really appreciate all you and your team have done and we will be asking you to do work for us in the future too. Services provided: General Home Inspection, Sewer Scope, Tank Sweep, Radon. Asbestos and Lead tests. Excellent service. Quality inspection, detailed. Easy to understand report, with clear pictures. Professional and thorough. Easy to pay - offered many options for payment, my favorite was the online option which allowed me to do it at home and use a credit card. Offered a warranty of their inspection and bonus "Porch" company help (multiple $25 coupons for handyman services). Excellent and fair price for a full and complete inspection. This is my first purchase of a home n first time I needed a home inspection. N I have to say the name Top Notch speaks for itself. They are the best at what they do . Kevin was my inspector n he was very thorough n looked at everything. N pointed out every little detail of my new place.at a very reasonable price too.i would definitely recommend Top Notch n will hire again if needed. We had a fantastic experience with Tim at Top Notch. Our realtor scheduled the appointment on a Friday morning and they were able to get us in the next Monday! He was so thorough, extremely nice and gave us great tips and ideas on how/what we needed to do to fix the problems he found. I would use them again for my next inspection, no questions about that! Loved working with the inspector. He was warm and open with information, easily able to explain his scope of the inspection and everything he saw during the survey of the house. It was a little more expensive, but covered everything and on a big house which felt like a big risk it is wonderful to know we have such thorough and correct information. We needed a termite inspection for a VA refinance in a hurry an called around every where. We were referred to Top Notch from another company. We called and they came the next day, the inspector was great did a thorough job and was friendly and easy to talk to. Now we are closing on our loan. Great job guys! I'm a first time home buyer moving to Portland. Top Notch Home Inspection performed a super detailed inspection of the home I purchased which gave me the peace of mind that I've chosen wisely. The report contained detailed explanation with photos of inspected areas as well concerns clearly describing the issues and recommended remediations. Super great company, quality work, and easy to work with. Highly recommended. I'm a first time home buyer and I spent a couple of hours researching for a good home inspection company to do a superb job. I came across Top Notch Home Inspection and I read through every review and I really liked how their website was setup, it's professional, clean, and cool looking, so I made a call and setup an appointment, which went better than I could have imagined. Not sure if putting the inspectors name on here is a good idea, but they will know who they're when they read this. This person did a very good job with how they did the inspection and was very intelligent and well informed. I couldn't have asked for a better Home Inspector. I recommend Top Notch Home Inspection 110%. If I ever need to go through another inspection, it will be through them! wonderful work and great attention to detail. We are more than pleased with the work done by Top Notch Home Inspection and would suggest them to anyone. 5/5 star experience, customer service skills, and customer communication. Jim did the inspection on my house and he did a very thorough inspection and I feel very comfortable with his results. I feel like down the road I will save a lot of money. Thank you again for your work! I highly recommend this company! They were very thorough with our home inspection. The interaction with them was pleasant and answered all my question. Later we had a question and called fairly late and they answered our questions. Great job. Sam was great in explaining the inspection and answering our numerous questions. Inspection results were very fast. Thanks, job well done. Sam was great. He was very thorough and explained what he was doing the whole time. I've had inspections in the past that lasted under an hour but Sam was at it over 2 1/2 hours. He gave me tips and suggestions to make things last as long as possible. I highly recommend them. 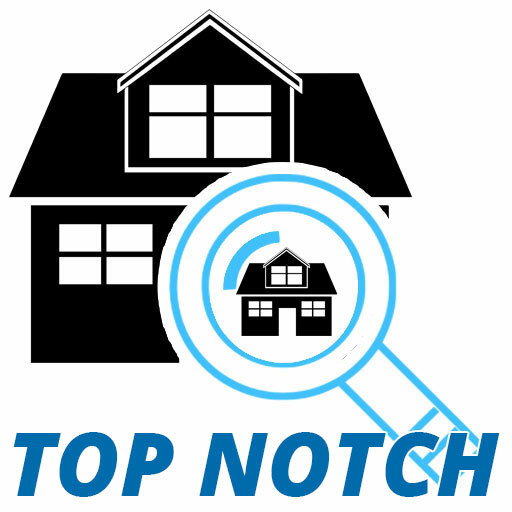 Tim Jones and Top Notch made my home inspection process an easy one. Booking was great got in pretty quickly and Tim was nice and very thorough. I was able to view my report the same day! Thanks a bunch! Sam was awesome. Great customer service, super friendly and very thorough. I could tell asking him questions that he really knew what he was talking about and he gave me a lot of solid tips on home maintenance for the upcoming years. Definitely feel good about the home I’m purchasing. 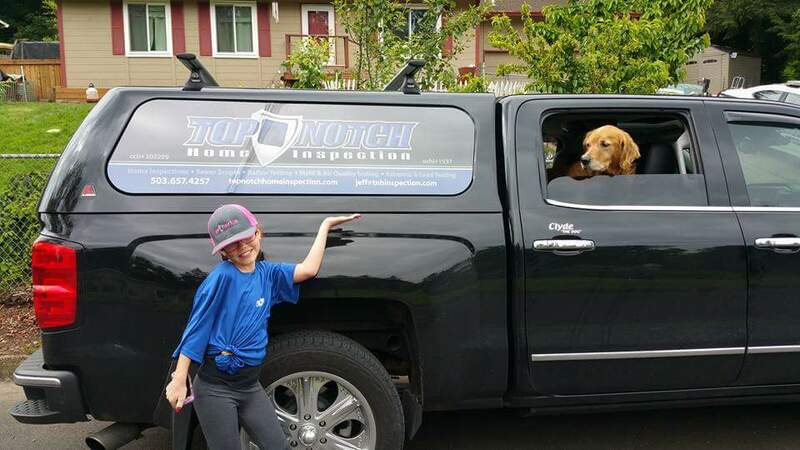 I will definitely use top notch every time I need a home inspection. And I would highly recommend requesting Sam. The inspection was scheduled just a few days from the time I called. The inspector was extremely knowledgeable and professional. After explaining to him that I am a first time home buyer he started explaining things to me about the home I didn't know. He showed me how to change the furnace filter, he explained how the vent system worked, he looked up the age of the water heater and explained ways I could make it more efficient, and he talked in depth about the type of water pipes we have and things to watch for in the future. He was very helpful and I recommend this company to anyone, from the first time home buyer to the seasoned home buyer this company is great! Kevin from Top Notch recently completed an Energy Inspection - a new requirement of the City of Portland when selling a home. He arrived ahead of the appointment time and performed a very thorough assessment inside, outside, above and below our house. Kevin was professional, took time to answer questions and completed the inspection in a timely manner. After completing the inspection, the final report and energy score was delivered to our realtor within a few hours on a Friday evening. This was much appreciated as it allowed us to schedule an open house the same weekend. We highly recommend Top Notch Home Inspection and will contact them when we find our next house. I am a first time home buyer and I’m learning the process along the way. It can be stressful at times, but I got a great recommendation from my realtor and I don’t regret calling! I called late at night and was able to schedule an inspection within a few days. Kevin was great to work with. He’s professional and thorough. He was on time and friendly to my realtor. He stuck to his word and had his inspection report that day. He personally called me right after the inspection and was straight up with me, which I appreciate. He explained everything in great detail and explained complications with the inspection. I would highly recommend top notch and would use them again! Kevin recently inspected a house my wife and I are buying in East Portland. He was extremely thorough. He noted every single issue with the house from roof to foundation. It was like Sherlock Holmes was investigating a ranch house, discerning whether or not water had ever leaked into the crawlspace (it had) and if air was properly flowing through the attic (it was not). When he was done he discussed his notes with us, answered our questions and offered advice. Then he left, prepared the report and emailed it to us the same evening. I usually don't feel like I underpaid for a service but Kevin's work is worth more than we paid. He definitely earns all the stars. I'm glad we opted for a sewer scope and radon test as well-- the peace of mind is worth the price. My wife and I were very stressed and unsure about this whole house-buying business but learning about the house's imperfections has (paradoxically) been a great relief. Top Notch did the inspection on the house we sold and the house we bought. Both were very thorough and they were able to do both quickly to meet our time lines. Communication was excellent. Owner Jeff answered all my calls and made sure we knew exactly the time of the inspections, so we could be there without waiting around. Kevin was the inspector and was very excellent. He was open to all of our questions and concerns, as we followed him around the house. He had our thorough report to us within a couple of hours. There was snow on the roof on inspection day, so Jeff came back a couple of days later to inspect the roof himself with no extra charge. 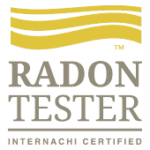 The inspector of the sewer line and radon test also did a great job of explaining what he saw. All in all this is an efficient, communicative, friendly and reasonably priced home inspection business. Jeff goes out of his way to make himself available. He either answers every call or returns calls right away. He doesn't put off scheduling, which is important for getting inspections done within small windows of time. He is thorough, professional and knowledgeable. He provides very detailed reports that are extremely helpful and informative. I would highly recommend Top Notch Home Inspection to anyone in need of a home inspection. A+ service! Great service and very affordable! Very thorough inspection. Kevin and Jeff are super friendly, professional, knowledgeable in every detail of the inspection process. I had many questions and they had an answer. They are affordable and beat the competitions prices. I highly recommend using this company if you want superior, skilled inspectors. Why would you not protect your biggest investment? Thanks you guys! You rock????? !